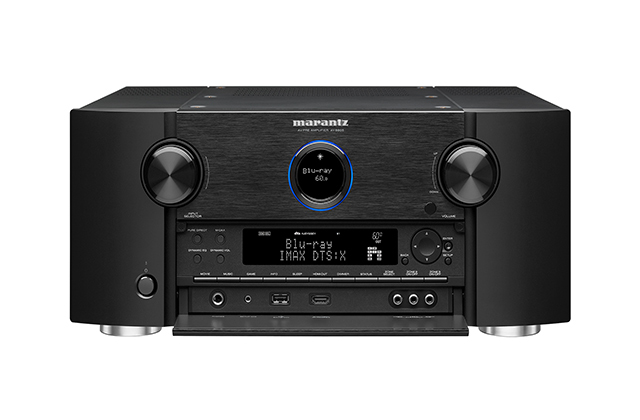 The versatile Marantz AV8805 pre-amplifier redefines audiophile home cinema and music listening with an unprecedented 13.2 channel processing capability, and supports virtually any high-resolution multichannel audio format. Immerse yourself in three-dimensional audio with the latest surround formats like IMAX Enhanced® and experience the next chapter of home entertainment. Thanks to HEOS Built-in, enjoy effortless voice control and total flexibility from the leading voice agents. Speak commands with Amazon Alexa, Google Assistant, Apple Siri and smart home automation, Josh.ai. The AV8805 pre-amplifier offer extended support for easy custom install integration. Features "ihiji Invision" remote system management technology, "Domotz Pro" remote monitoring and management technology with dedicated web interface to control and set up your AV receiver from a computer on the same network. Installers can easily monitor the status of connected products and troubleshoot remotely from a separate location or on-the-go.